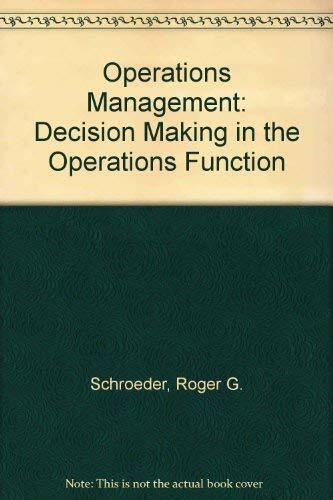 This leading text, renowned for its decision-making approach to operations management, includes 21 case studies of real companies (now integrated throughout), in addition to many industry examples. 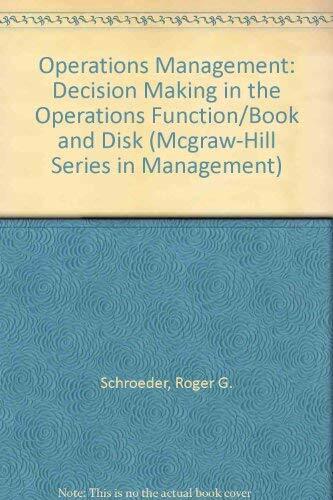 Operations decision responsibilities are organized into 5 categories: quality, process, capacity, inventory, and workforce and the emphasis is on the management of the operations function vs. quantitive analysis or planning and control - quantitative material is contained solely within chapter supplements. Equal coverage is given to services and manufacturing and both are integrated into a common decision-making framework. In this new edition there is greater emphasis on quality, with new material on quality function deployment, progress capability analysis Baldridge Award criteria, Garvin's 8 dimensions, and the 7 tools of quality. 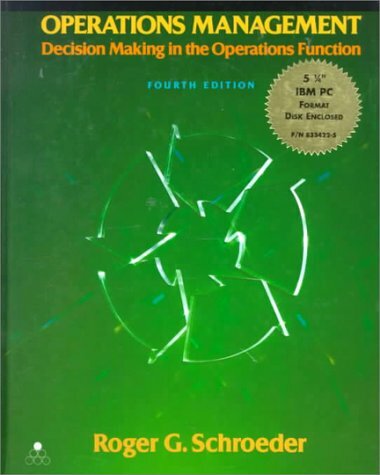 Five critical themes are emphasized throughout: the interrelationship of service and manufacturing, the need for customer directed operations, continuous improvement, the integration of operations decisions with other business functions, and the globalization of operations. There is also a new Solved Problems section added to chapters with quantitative material, a new chapter 21 on Performance Measurement and Improvement, and new Practical Application boxes throughout. Also available - main text and lotus templates on IBM 5.25 (0-07-911437-7), 3.5" IBM Lotus template disk (0-07-832791-1), instructor's manual (0-07-056147-8), study guide (0-07-056148-6), test bank (0-07-056145-1), computerized test bank IBM 5.25" (0-07-832789-x), 3.5"(0-07-074588-9), overhead transparency acetates (0-07-074588-9), video plant tours and guide (0-07-911523-3).